The CD’s official launch is at the National Storytelling Conference in Lévis, Quebec: Where Languages Meet 2015. This is the 23rd Annual Conference of the SC-CC, held from July 1 to 5.The CD launch takes place in beautiful Lévis, at L’anglicane, 31 rue Wolfe, on July 2nd at 8pm and is open to the public. The StorySave Program was established by SC-CC as a means of enhancing storytelling’s living contribution to Canada’s oral and literary heritage through the recording of voices of elders from the Canadian storytelling community for reproduction on and distribution through multi-volume CD sets, and the audio website. Tellers selected for inclusion are those who tell out of very particular repertoires, and have something unique to offer. Flora Zaharia (Sikotan) is a Kainai (Blood) elder from Alberta, now living in Winnipeg. 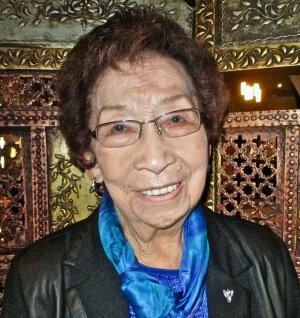 For many years, Flora worked to record and preserve the stories of the people on her Kainai reserve.Through this work and her own performances, she has made invaluable contributions to thestorytelling world.